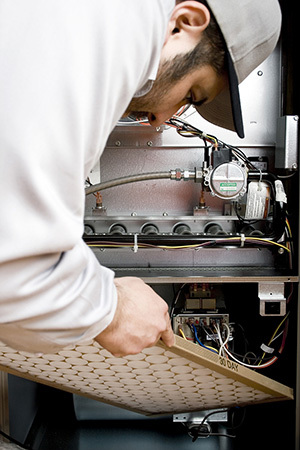 Air conditioners, heaters, ventilation systems and refrigerators are pretty complex machines. The equipment has become so complicated that these days it can be difficult to land a job without formal HVAC training. But, with so much information online, it’s easy to understand why more and more homeowners are attempting to do the work themselves. In fact, the DIY market is projected to be worth more than $13.9 billion by 2021, according to a report by market research firm Technavio. So, how can you help the growing number of customers attempting HVAC hacks on their own? Understanding the issue is often the first step to addressing it. Here are some of the common mistakes do-it-yourselfers make around the home. Similar to other fields, the HVAC industry has a specific set of tools of the trade: electrical testers, levels, and more. Switching out a wrench for a butter knife can be a bad idea. It’s not uncommon for homeowners to take a broom to their outside condenser unit. This tactic won’t get the job done and could even damage the fins, resulting in obstructed air flow. In the world of DIY home maintenance, duct tape is the go-to repair solution. While it can be a great product, it usually doesn’t belong on an HVAC system. Once you understand the risks of DIY HVAC work, it’s a good idea to educate your customers about them. Be sure to take an empathic approach. Thanks to YouTube, customers are feeling increasingly empowered. It’s important to point out the differences between staining their own cabinets and taking on a complex, risky thermostat rewiring task without diminishing their newfound confidence, for example. There’s a reason why EPA Certification for HVAC Techs is required under the law. Refrigerants can be harmful to humans and the environment. Plus, the dangers of working with electrical wiring and complex heating and cooling equipment is one major reason many states and localities require HVAC technicians to be licensed. If a customer is calling a pro, it means they want to know about the problem before possibly trying to handle it on their own. Give them what they want: information. But also take the time to share how your company would tackle the job. This could be your chance to tell them about your services and products. And, just maybe, the customer will decide it’s a better idea to have a professional take care of the issue. Many customers might be happy to know that there are HVAC jobs they can handle on their own. For instance, they can replace or clean their own air filters and clear debris away from their outdoor fan, compressor and condenser. By working with customers who have an interest in understanding their HVAC equipment you can help them keep their systems well maintained. You can also help prevent them from making the problem worse and raising the cost of repairs or even potentially hurting themselves by taking on jobs that are better left to the pros. In the long run, your customers might just thank you for the guidance and come back next year! The business side of things is something HVAC techs will have to get comfortable with. Check out some handy customer service skills for HVAC techs.